If the belly bulges forward, it does not just look unfavorable. Belly fat is also unhealthy. How to break down the excess pounds. Tense stomach briefly and is it gone? Unfortunately, it’s not that easy, but How To Get Rid Of Belly Fat? Belly fat is unhealthy. In contrast to the fatty tissue, which is located directly under the skin, the visceral fat is a reasonably active tissue. It surrounds internal organs such as the liver or pancreas and enlarges the abdominal circumference. Also, the tissue releases fatty acids, secretes inflammatory messengers and releases hormones. Possible consequences: Blood pressure increases, blood lipid levels are adversely affected, and blood sugar levels rise. Anyone who has accumulated a few kilos too much on the stomach usually knows why. Of course, age plays a role and the genes also control whether someone prefers to increase their abdomen or buttocks. The two crucial factors are lack of exercise and an unhealthy diet. The World Health Organization (WHO) recommends that you move at least two and a half hours per week. But who can do it? Most of the time we try to reach the nearest car park in front of the supermarket. Drive by car to the bakery or to work. Our everyday life is just comfortable. Many people do not pay attention to the right amount when it comes to food. Fat does not seem to be the only culprit. “Most people take too little fiber to themselves, but an excess of sugar,” says Erik Frank, fitness economist and sports and health coach from Worms. Sugar, for example, sweets, gets into your blood very quickly. The blood sugar level jumps up. The body reacts by releasing more and more of the blood sugar-lowering hormone insulin. “High insulin levels in the blood cause the body to store a lot of fat,” explains Frank. Also, the sweet snack can quickly be followed by food cravings. In contrast, a high-fiber diet will last longer. It causes the blood sugar level to rise more slowly. Hugh Grant says I was fat-shamed the other day in a British newspaper. The headline was ‘Four Bellies and a Turkey Neck.’ They weren’t wrong. I looked shocking. Bad Belly Fat – Good Hip Gold? The human organism produces two types of adipose tissue – visceral and subcutaneous fat. 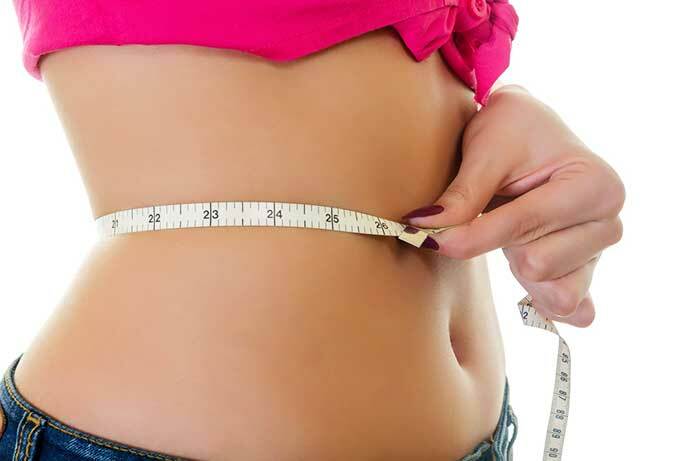 While the subcutaneous fat, the subcutaneous fatty tissue, is visibly present in many parts of the body – on the face, arms, legs, abdomen, and buttocks – the visceral fat in the abdominal cavity lies around the organs. Subcutaneous fat, as long as it does not limit mobility, is more beneficial to the health: it releases hormones that protect the arteries and balance blood sugar levels. The function of the visceral adipose tissue, however, is still insufficiently clarified. It surrounds the liver, intestine and other organs and is very active in metabolism. As the body’s largest glandular organ, it produces over 200 messengers. Presumably, it serves as a fast energy source and protects against pathogens. Nevertheless, its negative characteristics prevail. Let’s start with adiponectin. Full fat cells produce less of the hormone. And the adiponectin deficiency leads to a chain reaction: Thus, the low adiponectin level weakens insulin in its ability to lower blood sugar levels. Other messengers that secrete visceral adipose tissue also promote insulin resistance and blood sugar levels rise. As a result – the pancreas produces more insulin to keep the blood sugar level constant. Which in turn can cause the cells that produce insulin to go slack? Type II diabetes develops, and insulin must be given to the body by medication. Increased insulin secretion has further consequences. Because insulin can block the fat cells so that the body temporarily exposes the fat burning. The effects can be an elevated cholesterol and triglyceride level as well as a fatty liver. A vicious circle: elevated blood lipids combined with high blood sugar levels lead to hypertension and arteriosclerosis (atherosclerosis), which is the leading cause of death in industrialized countries. 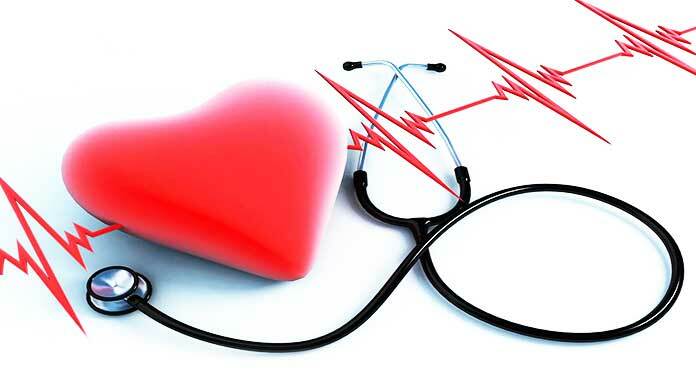 When the arteries are hardened, the risk of blood clots that can lead to infarction increases. But the abdominal fat also promotes the “arterial calcification” directly: So there are messenger substances that put the body in the state of chronic inflammation (cytokines). If hypertension has not been previously diagnosed, atherosclerosis now brings with it. And high blood pressure increases the risk of heart attack and stroke by up to tenfold. Other messengers that release the belly fat (plasminogen activator inhibitors), the fibrinolysis lame, a body process that keeps the blood fluid and dissolves blood clots. Thrombosis and embolism can also develop in this way. As if that were not enough, researchers found out a few years ago that belly fat can also promote cancer. 5 Can I Specifically Lose Weight On My Stomach? Of course, losing weight is only possible with more exercise and balanced nutrition. “Taking a specific abdominal approach is almost impossible,” says Frank. Although the fitness economist takes a little wind out of the sails. 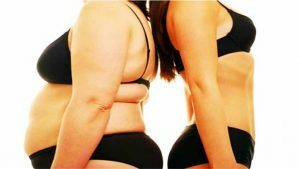 But he knows from numerous weight-loss programs he has led that obese people often come to him with false expectations. After all, the fat on the stomach disappears more efficiently than the buttocks or hips. The body preferably gains energy from the abdominal fat, as it is a metabolically active tissue. Also, it is particularly appealing to physical activity and therefore easier to mobilize, says nutritionist Dr. med. A lot of energy and therefore calories is needed by the organism when the human being moves. Anyone who does sports several times a week and brings more exercise into their everyday lives, for example, climb the stairs or go doggy with the dog decreases in the long run. In sports, no peak performance must be achieved. Nordic walking, cycling or water aerobics do not bring amateur athletes out of breath, but stimulate the metabolism and train the muscles. Fitness expert Frank advises: Also, I would add exercises for the abdominal muscles and strength training. Although every step on foot brings something, the sport is just one weight loss component. The other is nutrition. The visceral adipose tissue is more sensitive to altered eating habits than subcutaneous fat, writes us Nutrition Society. So who feeds fewer calories, causes the body preferably taps the energy storage in the stomach. First of all, fewer calories mean eating less fat and fast-digesting carbohydrates. Instead, plenty of fruits and vegetables, which in addition to vitamins also contain the important fiber. The healthy substances are also found in wholegrain bread. In white bread, however, are mainly easily digestible sugars that do not saturate for long. Even: Drink about one and a half to two liters of water a day, provided that medically nothing speaks against it. Those who are overweight and manage to lose 5 to 10 kilograms healthily, whose health benefits significantly. Because of the risk of dangerous cardiovascular diseases and diabetes drops significantly. 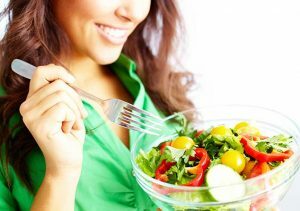 So that the stomach finally goes away, there are first tips on nutrition. Foods that you should avoid in the future and those that help you lose weight. Because what’s the name of it? “The six-pack is made in the kitchen.” Finally, we have great fitness exercises for a flat stomach. Book tip: “Speed up metabolism for beginners: In 5 steps to permanently stimulate fat burning and boost the metabolism!” In the guide, you will learn how to lose weight effectively and permanently. Carbohydrates are always portrayed as the enemy when it comes to getting rid of the belly. That’s not true. Because carbs are not equal to carbohydrates. The Background: If we eat carbohydrate-rich foods such as bread, pasta or sweets, the blood sugar level rises, and the body produces plenty of insulin to transport the sugar into the cells. On the one hand, this insulin inhibits fat burning, on the other hand, it ensures that the body stores fat, especially on the stomach. However, there are significant differences in carbohydrates. Sweets, fast foods and white flour products such as light pasta or white bread contain simple carbohydrates (bad carbs) that cause the blood sugar level to rise very quickly. Say, the body produces a lot of insulin in response. More complex carbohydrates, such as those found in whole grains such as bread or dark noodles, only slowly raise blood sugar levels. The body produces much less insulin, the fat burning is hardly inhibited, and there is hardly any fat stored. 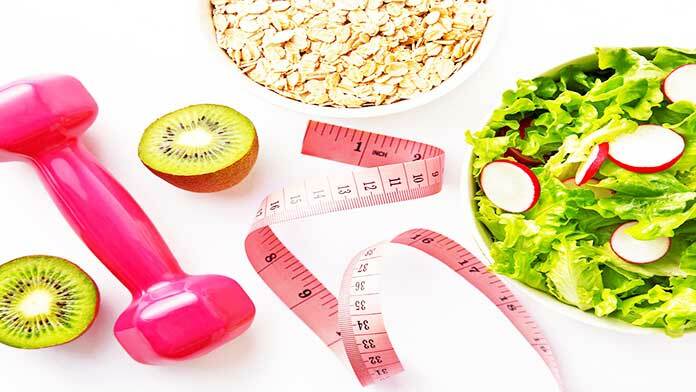 Anyone who wants to get their belly off should forget the tips that you should completely avoid carbohydrates and instead rely on complex carbs and eat many whole grains. Sweets, white flour products as well as fast food and hearty snacks like crisps should be better left aside. Especially in the evening, you should do without so that the fat burning can run optimally overnight. Many diets recommend avoiding carbohydrates, especially in the evening so that that fat burning can work unhindered overnight. There is nothing wrong with a slice of wholewheat bread at 7 pm because it has little influence on the blood sugar level. The sweets in front of the TV, as well as chips and popcorn, but you should refrain. They raise the blood sugar level immediately and adequately settle on the belly as fat cells. It is dispensed in the evening on fruit. This contains a lot of fructose and also affects blood sugar levels and insulin production. If you want to be on the safe side, in the evening you can take protein-rich, i.e., low carb dishes. 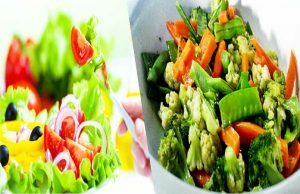 It can be a salad with chicken breast or fish, an omelet, scrambled eggs or even legumes or tofu. Even when it comes to healthy snacks such as vegetables and fruits, one of the most critical tummy-away tips is: do not constantly snack in between if you want to lose weight on the stomach. Treat the body to a meal break and let the blood sugar levels settle down. Get fed up with the three main meals. Maybe you will not need a snack anymore. If you are always hungry in the late morning or afternoon, you can grab a snack. Well, a suit is a natural yogurt with fruit, vegetable sticks with dip or a handful of nuts. It is little to do with weight loss, but if you are already suffering from a too fat stomach, you should not unnecessarily enlarge it, in which you often eat flatulent foods. Which foods lead to a bloated stomach can be very different. Generally, cabbage, legumes or soya are not tolerated by many people. Even raw food in the evening can lead to a belly full of air. For example, these dishes will be more agreeable if you season them with caraway. A fennel tea afterward provides for quick relief. Various studies have shown that stressed people are more likely to store fat on the stomach. If you want to get rid of your stomach permanently, you have to work on reducing stress. Make sure you have regular breaks for your walks. Doing sports regularly reduces stress very effectively — also relaxation exercises like yoga help. Also, find out for yourself how to switch off after a long day at work. Some like to listen to music, others read something, take a bath or draw. Conversations with friends are also felt to be very positive. If you want to get rid of your stomach, you should also integrate more exercise into your everyday life in addition to the tips about nutrition. For one thing, you should do endurance stress at least three times a week. It burns a lot of calories and fat cells. On the other hand, you should work on building muscle and do unique strength and abdominal exercises on at least three days a week. Super effective in beating bacon is HIIT training. The workouts that combine intervals of strength and cardio exercises are short but very intense. Just three times a week, 20 minutes of training is enough to train the body and melt the belly fat adequately. Lie on your back, your fingers slightly support the back of the head. Raise your legs at a 90-degree angle so that the calves are parallel to the ground. Tighten the stomach and lift the upper body with the power of the abdominal muscles. Go back again, but do not entirely put your head and shoulders down. Twenty repetitions, short break, then two more sets. Beginners Can Also Park Their Feet On The Ground. In addition to the classic straight sit-ups, there are the crunches for the oblique abdominal muscles. Lie on your back, hands slightly supporting the end of the head. Bend your legs and put them down on the right side. Clamps the belly and raises the upper body diagonally to the right. Fifteen repetitions, then put the bent legs on the left side and also make 15 repetitions to the left. Small break, then two more sentences. Variant: You can also set up the legs usually and make alternately to the right and the left side crunches. Of which then 20 repetitions. This exercise comes from the Pilates and is excellent for the entire abdomen. In particular, you can also train the important deep muscles in the stomach. Sit upright, tense your stomach. Now goes back slightly with the upper body, the rib cage is outstretched. Lifts your legs 90 degrees from the floor and approaches the upper body and thighs like a folding knife. Then go back with your upper body and stretch your legs forward. Fifteen repetitions, three sentences. Make sure you pull out your chest during the entire exercise and hold it straight. Do not try to support yourself with the arms. Variant: With this exercise, you can also train the oblique abdominal muscles. If the legs tilted laterally to the left, then to the right and made a similar turn with the upper body. With the side support, you train the muscles in the waist, but also the entire stomach, the deep muscles, and the arms. Lie on the right side. Now come up, so you only support yourself on the foot and right wrist. The hand is under the shoulder. The body forms a line. The pelvis remains on top. Beginners hold this position for 10 seconds. Advanced raise and lower the pelvis 10 x, the experienced even raise the upper leg a few inches. Just repeat the exercise on the other side. Make a total of three sentences. Sometimes hunger attacks are merely an alarm signal from the body to deliver more fluid. Try it out and see what happens.